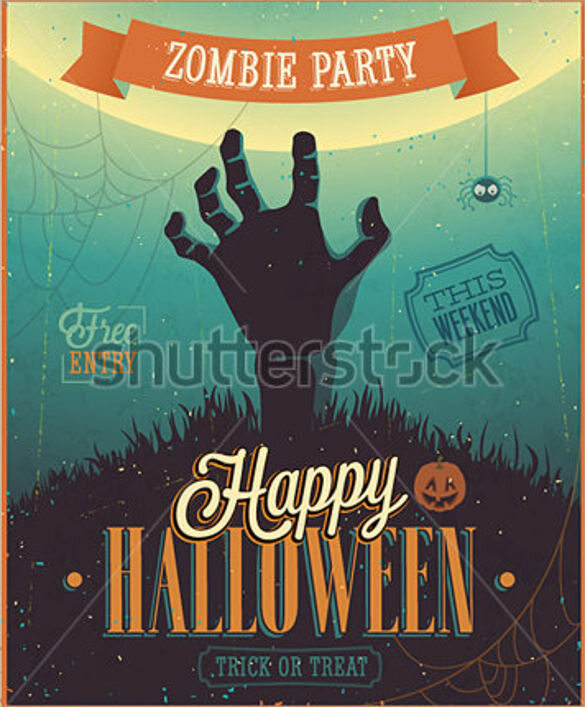 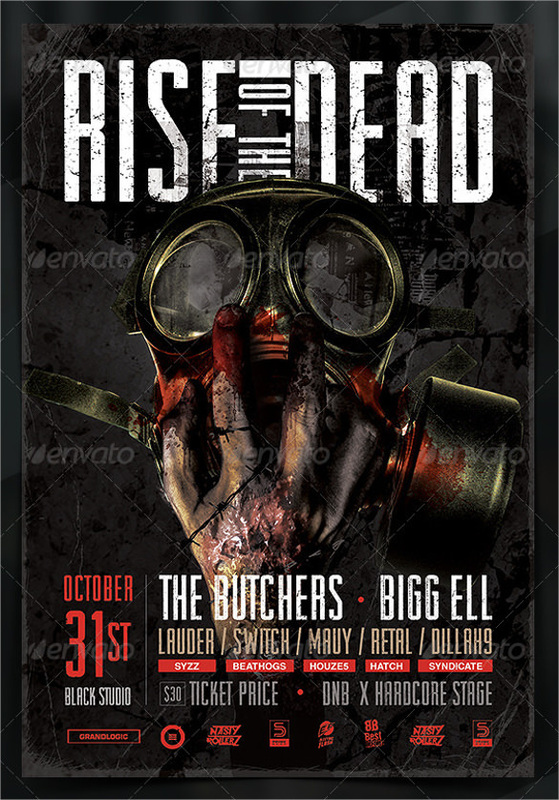 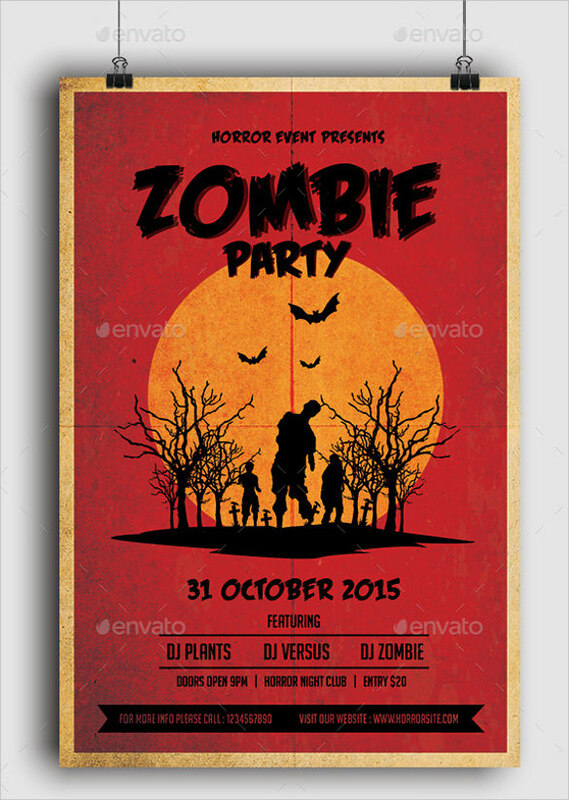 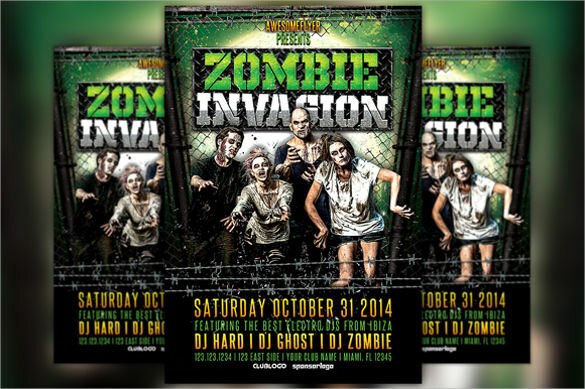 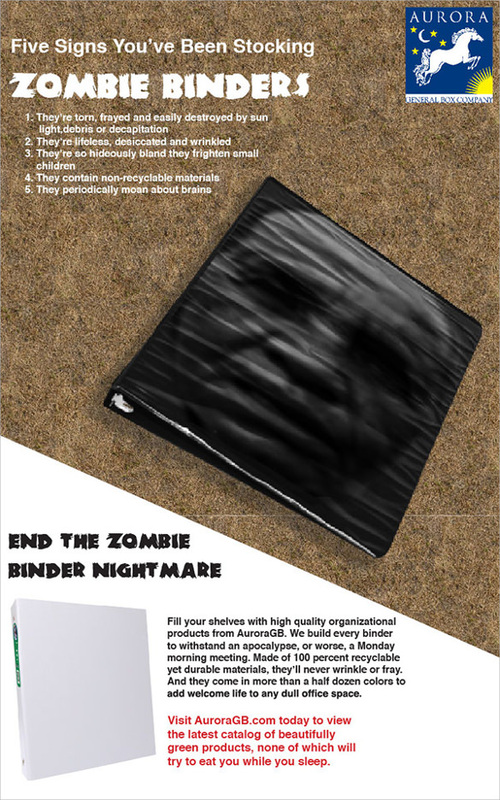 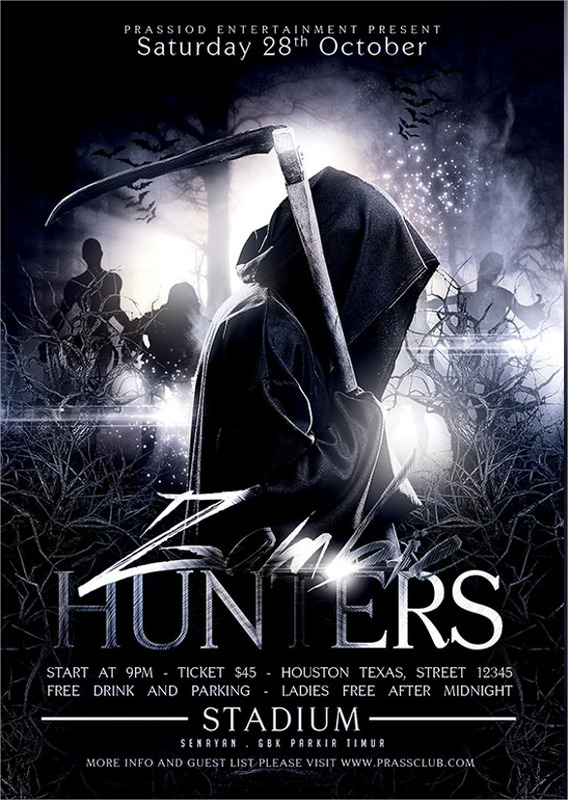 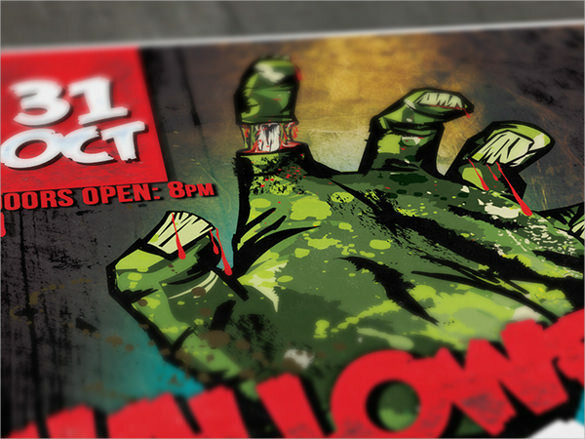 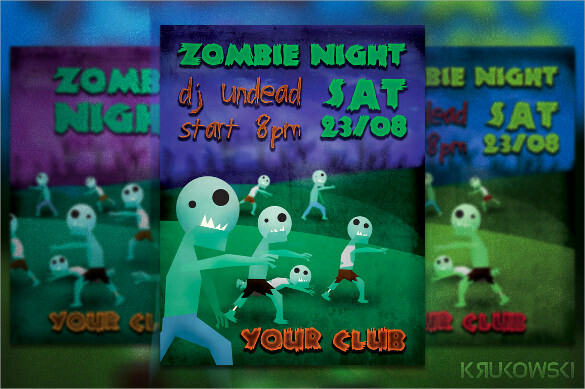 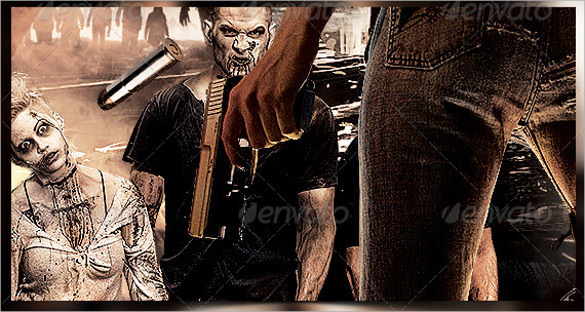 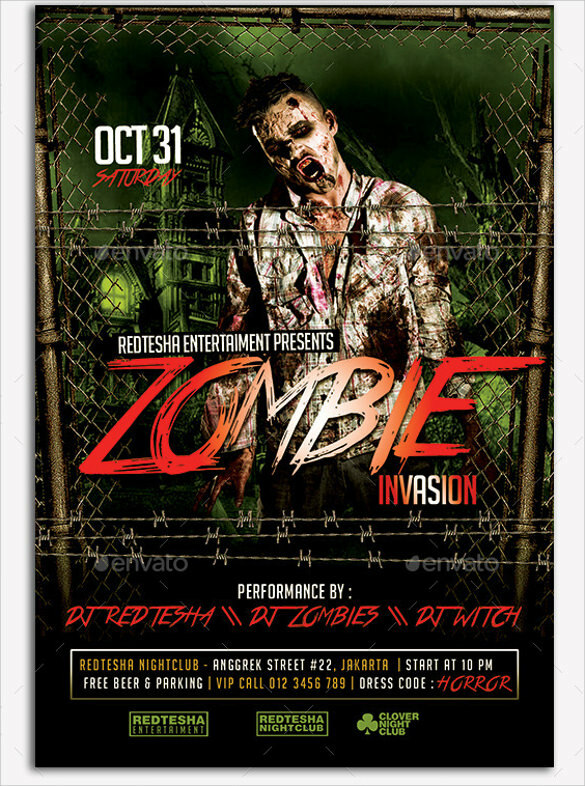 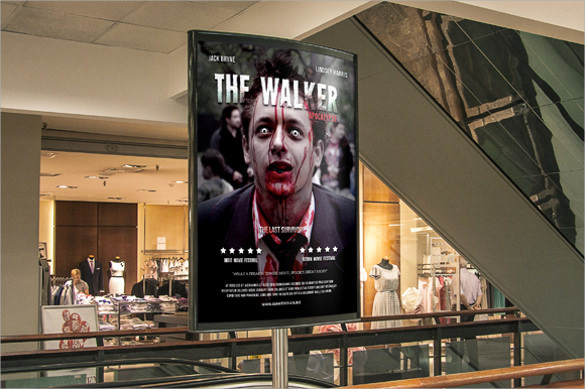 These are flyer templates which are designed with a theme of zombies and Halloween. 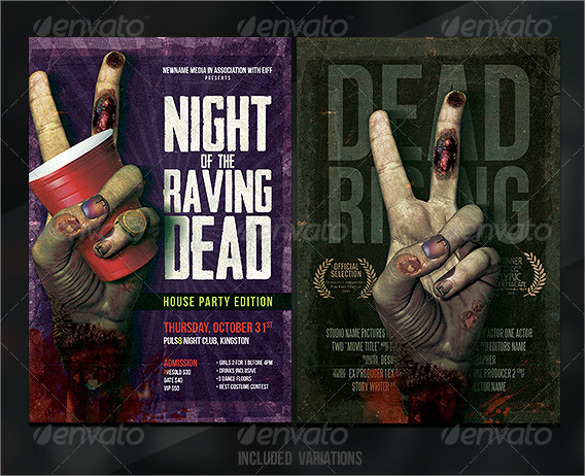 Most of these posters contain graphical image content which is horrific. 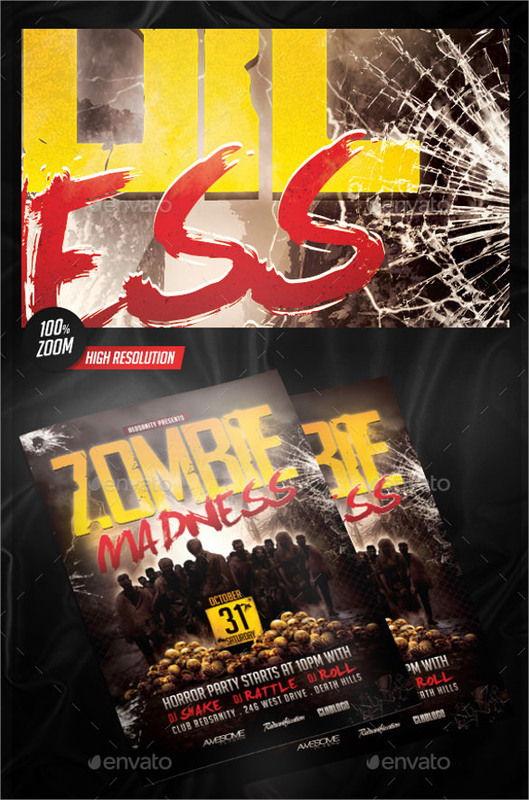 On the internet, there are thousands such free templates which everyone can download and customize to their preference. 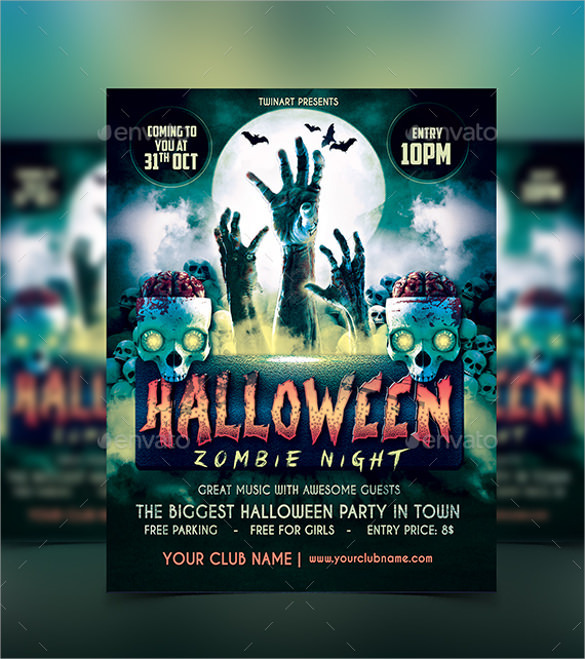 Most of the designers who design such templates are ever ready to create a special flyer template for a fee. 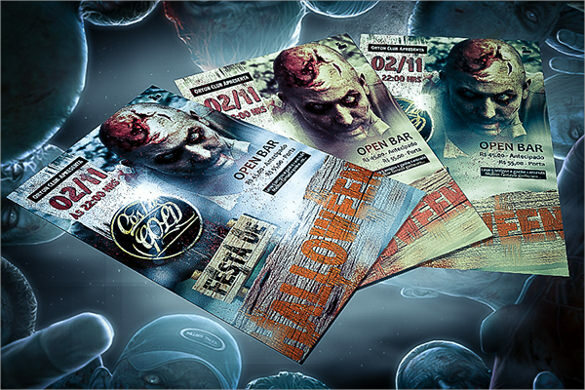 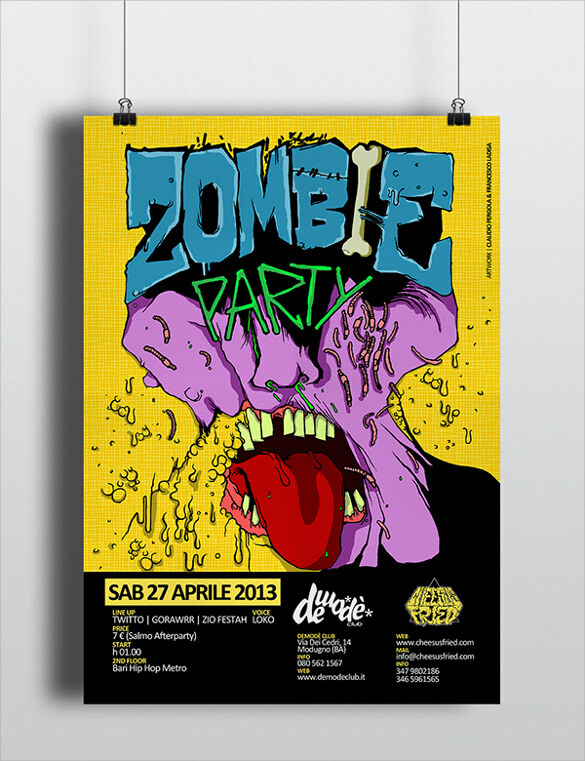 Zombie flyer templates, Carnival Flyer Template mostly use the dark theme and dark colors on them. 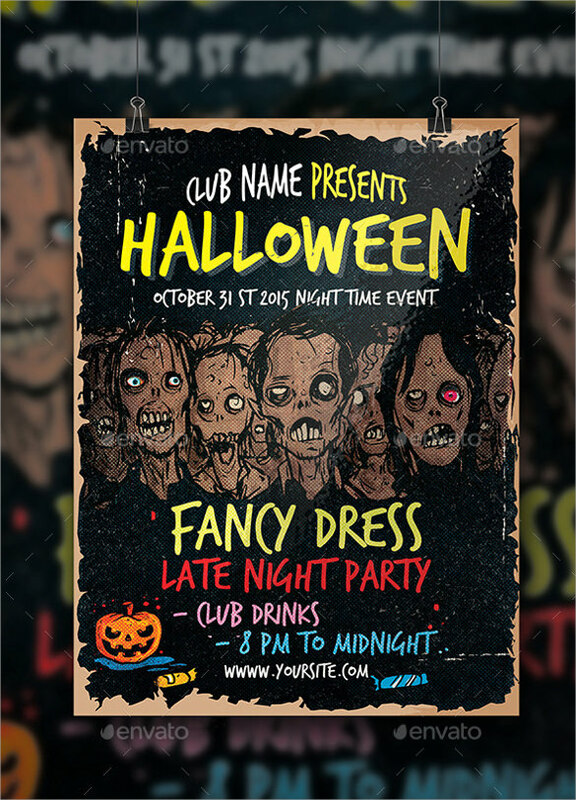 Users can easily customize such templates on the web and download them in pdf format or download in PSD format and edit them on their favorite graphics editing software.